Listen to Small Potatoes Special on Fun Kids! 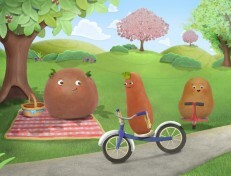 If you’re fans of the show on CBeebies The Small Potatoes, then we have some very, very exciting news! This Monday 24th Otober at 11am we will be playing a 1-hour special radio show called Small Potatoes, Deep Roots! 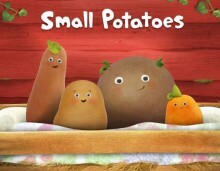 This special show introduces the Small Potatoes band and covers their rise to stardom, from little spuds to the famous potatoes they are today! The four members of the Small Potatoes band are Ruby the diva, Nate the artist, Olaf the caretaker, and Chip who is a quirky little spud! You’ll get to find out all about them in this special show for Half Term. So make sure you don’t miss it, this Monday 24th October at 11am! Click here to find out how to tune into Fun Kids – the UK’s only radio station dedicated to kids! And if you want to enjoy their music whenever you want, make sure you check out their album, now out on iTunes.